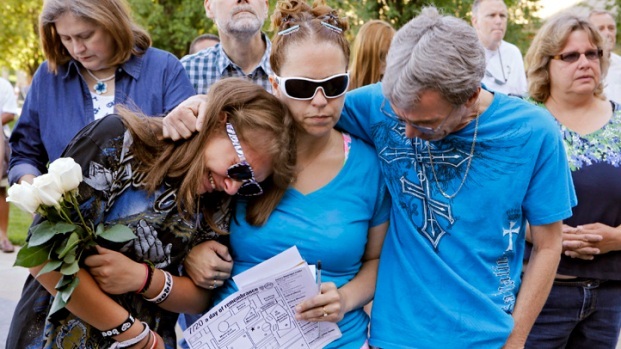 Full coverage of the shootings at the midnight showing of "The Dark Knight Rises" in Aurora, Colo.
Batman director Christopher Nolan expressed "profound sorrow" over the massacre in Colorado at the midnight screening of his film "The Dark Knight Rises." He said the violence was "devastating to me" and his thoughts were with victims and their families. “Speaking on behalf of the cast and crew of The Dark Knight Rises, I would like to express our profound sorrow at the senseless tragedy that has befallen the entire Aurora community," Nolan said in a statement. "I would not presume to know anything about the victims of the shooting, but that they were there last night to watch a movie." Nolan said he believed "movies are one of the great American art forms and the shared experience of watching a story unfold on screen is an important and joyful pastime." Just hours after the gunman wearing a gas mask opened fire on the audience, Warner Brothers canceled the Paris premiere of the film, which was scheduled for this evening, and released a statement expressing how "deeply saddened" they are. "Warner Bros. and the filmmakers are deeply saddened to learn about this shocking incident. We extend our sincere sympathies to the families and loved ones of the victims at this tragic time," read the release. James Holmes, 24, of Aurora, Colorado, allegedly walked into his hometown theater early Friday morning just as a showing of "The Dark Knight Rises" had gotten underway, threw a tear gas canister toward the audience and began shooting into the crowd. 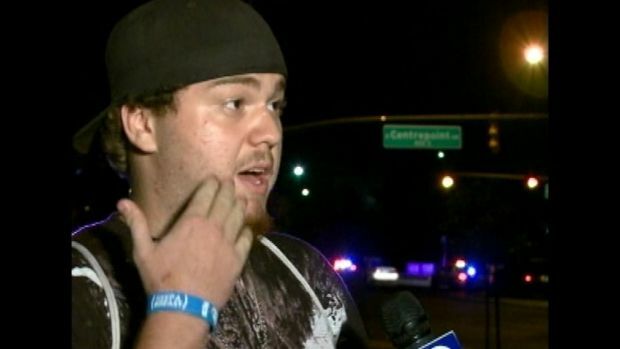 Colorado moviegoer Alex Malono describes the chaos during the "Dark Knight" shooting spree. Eerily, the film was preceded by a trailer for the upcoming Sean Penn film "Gangster Squad," which includes a clip of men with machine guns shooting into a movie audience from behind the screen. Warner Brothers has since pulled the trailer from future screenings, reported Deadline. New York City Police Commissioner Ray Kelly wasted no time in responding to the tragedy. 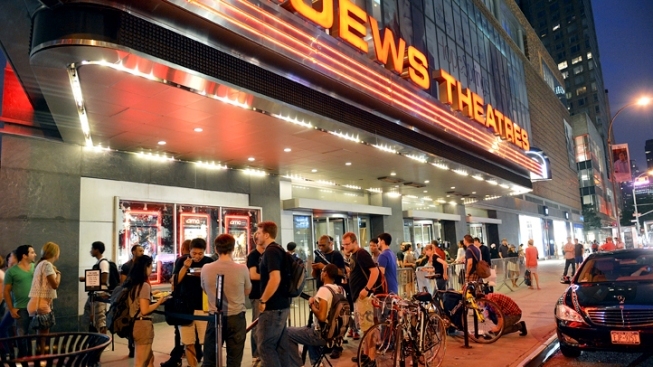 "As a precaution against copycats and to raise the comfort levels among movie patrons in the wake of the horrendous shooting in Colorado, the New York City Police Department is providing coverage at theaters where the 'The Dark Knight Rises' is playing in the five boroughs," Kelly said in his own statement. Former Connecticut senator Chris Dodd, currently the president of the Motion Picture Association of America, offered his "prayers and deepest sympathies." “We share the shock and sadness of everyone in the motion picture community at the news of this terrible event. We extend our prayers and deepest sympathies to the victims, their loved ones and all those affected by this tragedy,” read a statement from Dodd. "The Dark Knight Rises," the final installment in director Christopher Nolan's Batman trilogy, was one of the most hotly anticipated films of the summer, and was expected by many to be one of the five highest-grossing films of all time. The film has already taken in more than $67 million worldwide, including $27 million from the overnight screenings which began shortly after midnight Friday, both figures shattering records, according to Deadline.